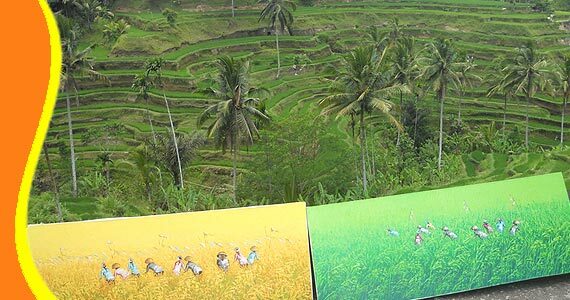 You will enjoy the beautiful panorama of the valley with rice terraces and green palm trees in Tegallalang Rice Terrace or Ceking Rice Field. Tegalalang or Ceking Rice Terrace is located in Tegalalang Village Terrace in the north of Ubud, which is an icon of agricultural tourism in Bali and very famous. Make this area into an attractive tourist destination for all travelers. Expanse of green rice terraces and stunning rigged on a hillside. 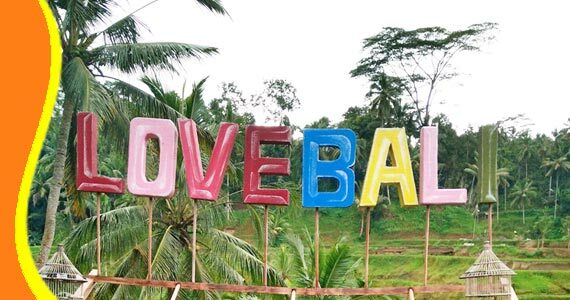 The Tegalalang village is situated at 600 meters above sea level, be a fertile area by a good temperature, the majority of the village population are farmers and some of them are working as government officials and the private sector. 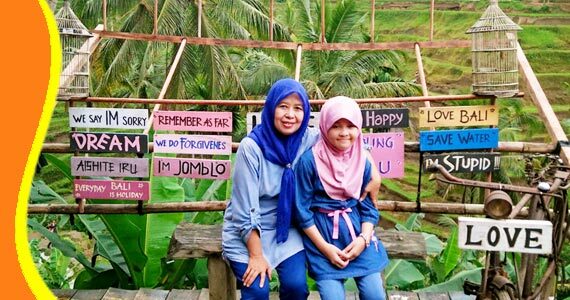 Currently, Tegallalang became famous for the beautiful rice fields that tourists to come and see this amazing panorama. The visitors who visited this village will find a beautiful green rice fields on the edge of the cliff and understand how the farmers in planting. By ordinance irrigation in Bali, named SUBAK (multilevel). 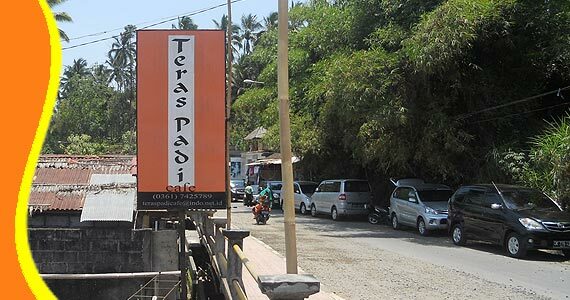 Teras Padi Cafe Tegalalang, is one of the restaurant that provide food and drink while you enjoy the panorama. There are several restaurants that sell food and drinks, and with additional views of the rice fields makes guests who come to this restaurant, comfortable to linger stay and enjoy the beautiful panorama of Tegallalang Rice Terrace while enjoying the cuisine. 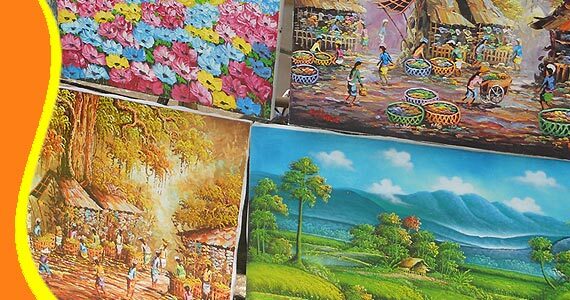 You can buy painting, wood carving or other handicraft here in Tegalalang. Tegalalang also famous for wood carving craft village center, you meet along the way. You will see a lot of stores that sell a variety of colorful carved wood with diverse forms. 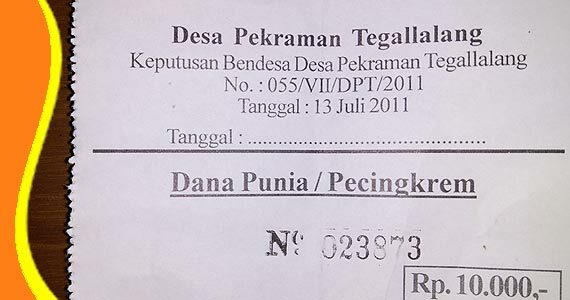 Ticket should buy before entry the Rice Terrace of Tegalalang. 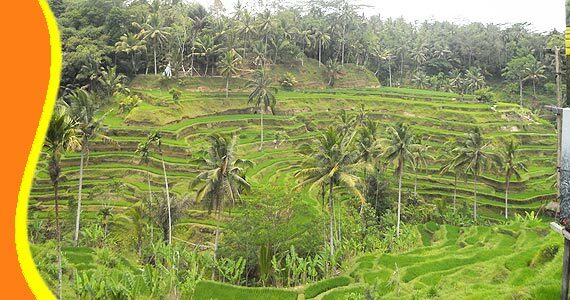 For further explanation and the information about Tegalalang Ricefield Bali, Tegalalang Tour, Ubud Tegalalang Transport, Visit to Tegalalang Ubud. Get a Bali Transport from your stay (Bali Resort or Bali Hotel). You can contact us if you need transport to go to Tegalalang Rice Terrace and other related Bali tourist destination. The Rice Terrace view, visitor allowed to do trekking around the rice field. 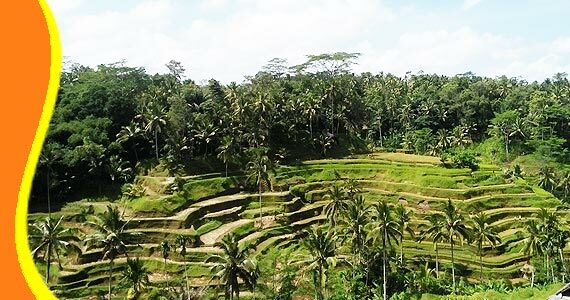 Tour to Tegallalang Ubud Bali can be combined and implemented in conjunction with other activities Trip or Tour in the same direction. This photobooth can be use for making Photo with your family or couple. 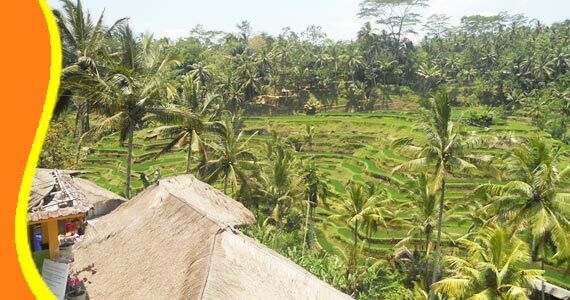 “Very Beautiful Views over Rice Field Panorama in Bali and Enjoy the charm of Tegalalang Rice Terrace (Anne - UK)"